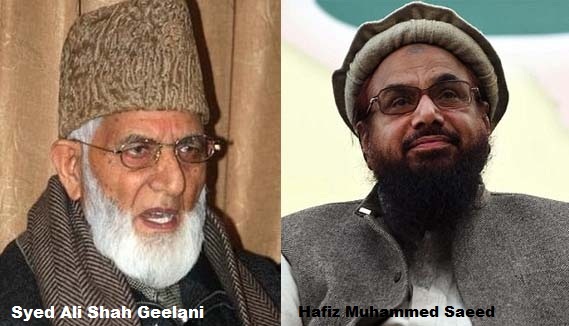 New Delhi: National Investigation Agency has registered a PE (Preliminary Enquiry) into the funding of Hurriyat leaders namely Syed Ali Shah Geelani, Naeem Khan, Farooq Ahmed Dar, Gazi Javed Baba and others in J&K by Hafiz Muhammed Saeed and other Pakistan based terrorists and agencies to carry out subversive activities in Kashmir and for damaging public property, stone pelting on the security forces, burning of schools and other Government establishments. Kashmir valley, by India Today TV, on 16 May 2017 in this regard. all from Nagaland, and the amount of Rs. 18,47,667 was recovered from their possession, besides other articles. A case was registered by the Senapati Police station and the four accused were arrested by the local Police.